In an increasingly interconnected community where more relationships are formed through online connections, people not only need a way to safeguard their information, but to protect themselves from cyber threats. 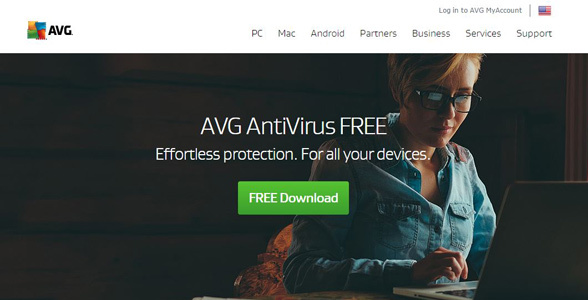 Short Version: Since 1991, AVG products, which are now part of Avast, have been one of the most popular providers of online security software, offering a free-to-download antivirus product for Windows, Mac, and Android devices. For those wanting additional features and functionality, the subscription option, AVG Internet Security, automatically scans your system and gets rid of any harmful malware and viruses while keeping your security up to date against the latest threats. For online daters, that means instant peace of mind. While you browse through a dating site, the HMA! Pro VPN application will automatically encrypt sensitive information, hide your location, and keep you safe online. You can maintain your privacy on a dating site by using AVG Internet Security, the #1 resource for security software. Thanks to geo-tagging, when you send your potential match a quick selfie, you could also be sending your exact whereabouts. Finding too much in your PokÃ©mon app? Are you addicted to the augmented reality of Pokémon Go yet? If so, then you are not alone and if not, beware of playing the game because you might be. But be careful, whether you are an existing or new player as with any craze as popular as this then cyber-criminals see an opportunity to make some cash. In the last week several security researchers have released details of threats ranging from fraudulent social media accounts to malware infected apps available in the Google Play store. The malware infected app found by security researchers this week was available in the Google Play Store and is reported to have been downloaded over 500,000 times. The apps malicious payload is capable of taking root access rights on a user’s phone. The app masqueraded as a ‘Guide for Pokémon Go’, leveraging the huge success of the game to dupe people into downloading an app that could then uninstall/install apps or display unwanted adverts. The research on social media accounts found 543 accounts related to Pokémon Go across Facebook, Twitter and Tumblr with over 30% (167) of them delivering fraudulent content to their visitors. With a mix of downloadable game guides, imposter accounts and free giveaways affecting both desktop platforms and mobile devices delivering adware, malware or software not related to the content advertised. With cyber-criminals motivated to cash in on the phenomena we strongly recommend that vigilance is needed when downloading or researching details about the game and the best way to play. If you think you may have clicked a bad link or downloaded a rogue app then download AVG AntiVirus for Android, it’s free and detects malicious app downloads in real-time. AVG detects the threat from the malicious app mentioned above and our researchers work 24×7 to ensure that we bring you protection to threats as they happen. What’s your Labor Day weekend going to comprise of? If it involves hitting Labor Day sales and shopping online or reviewing finances, stay safe with some tips to stay safe. Labor Day is a US and Canadian public holiday of festivities held in honor of the working people, very similar to May Day in many other countries. This holiday,make sure you’re not creating yourself additional work and take precautions when online. Staying safe online, whether shopping in the Labor Day sales or posting pictures of a family day out, it’s an important part of our everyday lives. The risk of identity theft or fraudulent transactions being posted on your credit card will undoubtedly create more work for you and turn the festivities into a nightmare. Below are a few tips to help you stay safe. Visit websites from brands that you trust. Searching for something online may bring up the bargain of a lifetime but if you have not heard of them and they have no positive reviews to validate them my advice is to stay away. If it sounds too good to be true, then it probably is. 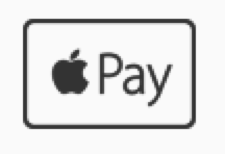 Make sure the checkout page is secure. The example below from the Bank of America shows the company name appearing in green meaning they have Extended Validation Certificate. The certificate means the highest level of SSL encryption and the company verified it is a legitimate entity to the certificate issuer. The padlock gives us visual identification that data between your browser and the server is encrypted so no sneaky cyber-criminal can see what you are doing. Consider checking out as a guest, retailers want you to register so they can communicate offers to you and provide convenience with account information and delivery addresses. If this is a retailer you do not frequent commonly then you probably don’t need an account or your data being kept on their servers. If you do create an account click the option not to store payment details, that way if the retailer does have a data breach then your card details should be safe. Make payments with a single card with a limited credit limit. Having a specific card for online shopping limits problems to a single card and limiting the amount you can spend on the card restricts potential damage should the card details be compromised. Consider paying using other methods, for example PayPal’s buyer protection. 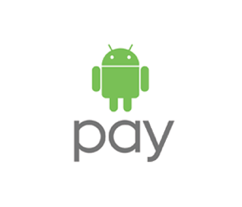 If you’re on a mobile device then consider paying through ApplePay or AndroidPay. Many of us may still feel uncomfortable paying through our phones but the new payment methods provide additional security to protect us. In the case of both of the aforementioned services your credit card data is never transmitted keeping you in control of your data. Keep away from infected or rogue websites by ensuring you have up to date security software, such as AVG. Available for both Windows, Mac and Android, with free and paid options it’s easy to stay protected. We want your Labor day to be the celebration it is meant to be. Taking precautions online will help ensure this. If you do find yourself in a situation that your card or bank account have been subject to fraudulent charges then contact the bank or financial organization immediately and put a stop on the card. Have a great labor day, stay safe America! As many of our kids have returned, or are in the process of returning back to school, we should expect to see different behavior patterns in their usage of devices. Hopefully one of those changes will be to use them for studying. As parents we want our kids to have a balanced life of being online while still appreciating the need to have life skills, such as actually speaking. Our concerns are not new, back when the wireless (radio) was invented I am sure parents told their kids to stop listening to that box, in the same way my parents told me I would get square eyes if I watch too much TV. Controlling the balance can be tricky, especially when our kids only know a life that’s online and the normal way to communicate. It’s important that device time is understood as a privilege and not a right. Some parents have contracts with their kids stating what is expected of them when using a device, while others do nothing and some block or monitor access. When thinking about screen time one of the first things to do is walk around the house and count the numbers of devices that are connected. Many of us forget that games consoles and some toys are now connected devices, so asking your child to put down their phone just to see them pick up another connected device might not be achieving the goal of having a balance. In my house we strike the balance through communication and education, this has worked well for us. One of the first things we implemented was ‘the basket’, a place where phones live during meals times and overnight. This drives conversation at the meal table and texting, posting or gaming late at night has never been an issue. The biggest challenge here is can you as an adult commit to putting your phone in the basket! Understanding what your kids do online is important. Effective monitoring through parental control software or using software on an internet router, such as the Ally System, supported by AVG, from Amped Wireless will give you oversight that will allow you to have conversations about inappropriate use and behavior. The insight of knowing that your child is spending 3 hours a day on social media should encourage you to have a conversation about time well spent. Many of these technologies also offer the ability to block, while blocking inappropriate content is a good idea limiting your kids access through blocking will push them underground to connect in other locations such as public libraries, coffee shops or their friends house. And remember their smart phone probably has it’s own access. My point here is that you cannot control their access everywhere, so it is better to educate them having the knowledge of what is being accessed so that they behave well wherever they are and they have the principals to stay safe. Another important element to limiting both screen time and keeping them safe is understanding the functionality of the apps they run. Listen to your kids talking to their friends about what they use, talk to them to find out and then go off and download the same apps. Should all Facebook users follow your example, Mr. Zuckerberg? 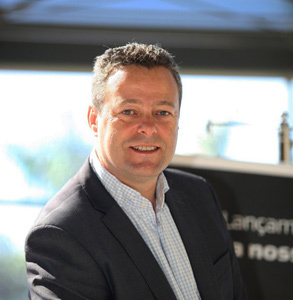 Sticky tape – is it really secure by design? Mark Zuckerberg the founder of the high tech company Facebook uses everyday sticky tape to help protect his laptop and identity. Facebook founder and advocate of social media was recently pictured celebrating reaching the 500 million active users per month milestone for Instagram, a Facebook company. The achievements of Mr. Zuckerberg are indeed remarkable; the way in which the world communicates today would be very different without Facebook. In the celebratory photo, Mr. Zuckerberg is seated at his desk holding a cutout of Instagram’s feed in Facebook’s Silicon Valley headquarters. Eagle-eyed Twitter user Chris Olson spotted that Mr. Zuckerberg, like many of us, had put tape over the webcam and microphone of his laptop. We’ve all heard the stories of web cams being turned on in homes by malicious hackers, TVs that listen to us, and toys that record our voices, so it wouldn’t be surprising if many of us already do the same. Protecting devices with physical security helps ensure that if a hacker accesses your device, they do not see or hear much. You might, however, expect the billionaire founder of Facebook to have a more sophisticated solution though, especially when there has been so much written about Facebook apps asking for permissions that seem somewhat sensitive or intrusive for some users. For example, Facebook asking for permission to access the user’s microphone and camera has generated speculation about whether such access could be used in ways that are not transparent to the user. There have been several articles written with explanations on why the permissions are needed and assurances by Facebook that it will not abuse them. So, if all of this is true, why is the CEO and founder of Facebook putting tape over his webcam? Should we also be putting tape over our webcams? We know that the CEO and Founder of Facebook does, and in a recent interview, James Comey, Director of the FBI also admitted to using this technique. Either they are making a statement or this method actually works. My personal opinion is – it’s the latter. It might of course be because both of these personalities have such a high public profile that they are more likely to be targets for hackers. Considering malware like the remote access trojan (RAT) that can access a camera, maybe a piece of tape is a practical if not wholly elegant solution. Naturally, having up to date antivirus software and a fully updated/patched machine will make it less likely that such malware will ever reach your machine. There’s also human error, although I am not sure this has been given an official ‘name’. Have you ever accidently started a video call on your laptop or phone? Most of us know that it is all too easy to click the wrong button to make the call and the next thing you know you are broadcasting video … and let’s hope it’s nothing confidential or embarrassing. Given the risk of a mistake and the risk of malware, and two high profile examples … on balance, it probably is time to tape over your PC’s camera and microphone to minimize the risk that you share something inadvertently via your camera. And for the fans of duct tape, that’s probably overkill when covering up a cam, I’d suggest using something a bit more easily removable! If your carry-on luggage is like mine, you have a lot of thing that need connecting to the internet. Between my wife, son and myself it is not unusual for us to carry 3 laptops, 3 phones, an iPad and a gaming tablet – and that doesn’t even include our wearables! That’s at least 8 devices I need to think about charging and that’s also the first thing I think about when booking a hotel. I look for those magic words, “unlimited free WiFi”. If you are traveling abroad be sure to let your bank and credit card company know, they look for fraudulent transactions and if your card is used in a different country then it may get blocked until you confirm its actually you. Avoid this with a proactive phone call before you go. If you are bringing a laptop, consider leaving some data at home by removing sensitive documents. In the event someone steals your laptop, then that’s all they get. This helps safeguard your identity. Be sure to back-up your data before you leave for the airport. Secure your mobile devices and laptops with strong passwords and if you have not already set up anti-theft software on your smartphone, then download it and register. 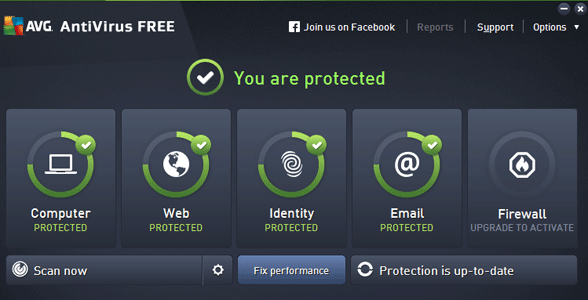 AVG AntiVirus for Android has this feature. You can avoid running up significant cell phone bills by disabling data roaming. If you don’t want to disable it completely then at least go through your apps and disable it for the non-critical ones. Games and parking apps don’t need to update themselves when you are on the beach! Be cautious not to advertise the fact that you’re away from home by posting your minute-by-minute location on social media sites. You can switch off location services that might automatically check you in somewhere exotic. If you are going to use public wifi, then consider installing a personal VPN product on the devices that you are going to connect. HMA’s VPN products can be installed several devices with a single subscription and they are part of the AVG family of security and privacy apps. The minute the plane lands, the mad rush to switch on the phone begins. What did you miss while flying? Probably not much. Airport, coffee shops and hotels are the destinations of choice for those needing a vital connection. How do I stay safe on public WiFi? The first thing to remember may seem obvious but many people don’t think of it. That’s to take a look behind you. Yes, that person behind you on the plane or in the coffee shop has direct visibility of your screen and if you log-in or make a transaction, they may well be watching. When the list of Public WiFi networks is displayed don’t trust them without asking. Make sure you connect to an official one rather than a fake one that a cyber-criminal may have set up in order to trick you. If in doubt, ask the manager at the shop. Use a VPN when connected. This encrypts the connection in case any snoopers are watching the data running on a public network and they won’t be able to see what you are doing. Tools to snoop are readily available and easy to use making this a real threat. When possible, leave transactions to the privacy of your hotel room or if I can wait until you get home – that’s the best option. Booking tickets is one task that will not wait, so use a credit card rather than a debit card. Credit cards have limits and do not give someone access your bank account. And possibly the best tip of all – disconnect and enjoy your vacation without the interruptions of technology! Last year, this was forced upon me when we found that the national park we stayed in had no cell service and the nearest WiFi was 50 miles away. It was frustrating to start with, but great once we got used to it. Receive BIG savings this summer when you download HMA’s VPN for a limited time only. Ransomware – it’s the online threat everyone’s talking about. Crypt0L0cker was one of the first on the scene in 2013; and since then, the costs of attacks continue to grow. As an individual or business owner, you may be wondering just what ransomware is, what kind of risk it poses to you, and how attacks like these can occur. Ransomware is a type of malware with the ability to silently encrypt your files, before demanding payment for their return – often with a time limit. And not only does ransomware target your most valuable files, like photos, documents and spreadsheets, it can also lock down system files to render your web browser, applications, and entire operating system unusable. Our VirusLab has analyzed many variants of ransomware, including the well-known Crypt0L0cker, Locky, and TeslaCrypt. But the threat isn’t limited to PCs. Both Android™ mobile devices and Macs can be infected as well. How does ransomware get on my PC? Most commonly, ransomware is spread via malicious email links and attachments – often concealed by changing the file extension and compressing the malicious code into a zip file. Opening the file infects your system. Ransomware can also be bundled into other applications, such as games, video players, etc. So any application from an unknown or untrusted publisher is a potential risk upon installation. Once on your system, ransomware works in the background, connecting to a remote server to encrypt single files, whole directories of files, or complete drives. You’ll see a message pop up demanding payment, which can range from a few hundred to tens of thousands of dollars. Payment must usually be made in some form of anonymous currency, like Bitcoin. But even if you pay the ransom, there are no guarantees your files will be unlocked. So naturally, this kind of malware has incredibly serious consequences, particularly for businesses holding sensitive customer information or internal data that’s not securely backed up. Does AVG protect against ransomware? It sure does. Both our PRO and FREE versions of PC antivirus provide protection against ransomware. This goes for AVG Business Editions, too. Our protection is multi-layered. Not only do we check against known malware variants and behavioral patterns in our virus database, we also further test previously unseen files in a secure virtual environment before they are executed on your PC. This is done using artificial intelligence, sophisticated behavioral analysis and various other methods. And we automatically update it all, so you stay protected. Spring is here! Out with the old and in with the new – a new opportunity to put winter clothes away .Why not clean up your digital life as well? Google Yourself – You are your own personal brand image. So what are people saying about you and what have you said that might be public? Google yourself to find out where you’re mentioned and what images have been tagged with your name. Then you can work to clean up what you find. Delete old email accounts – Are your friends receiving weird emails from you? Sometimes the source is that old email address you used a dozen years ago and never check now. Your contacts are still in the account and vulnerable to hackers and the password you used back then is probably not as strong as it should be. Deleting old email accounts stops hackers from abusing your identity to attack your friends and family. Review old social media posts – Determine if what you posted when you were 18 is still appropriate for you today and consider what an employer or even your kids might think when they see them. And it’s not just about you, if there are pictures of friends that may have been funny at the time, consider taking them offline as well. Strengthen passwords – Use secure passwords to guard yourself against hackers and other vulnerabilities. There are free tools like Dashlane that help you manage your passwords and guide you to make them stronger. Use different passwords on sites as you never know when your favorite e-retailer could get compromised and you don’t want your password making your whole digital life vulnerable. For an added layer of protection, you should also turn on two –factor authentication so your smartphone can identify you with your fingerprint or with face recognition. Scrub your history – your surfing history that is. Safeguard your personal information and your location online with a VPN (virtual private network). VPN protects your data from snooping by encrypting it and it also stops snoopers on public WiFi networks from grabbing your data. A VPN will also hide your location preventing websites you visit from targeting with unwanted ads. You can download a free one from HMA! here. Check privacy settings – Now that the past is cleaned up, make sure your future posts are in check by managing the privacy settings across your social media platforms and online accounts. There may have been changes to the settings and privacy policies in recent product updates, so ensure you have the level of privacy protection that matches the level of your online activity. Go and review the settings today. Even though your online identity is squeaky clean, don’t wait until next spring to do a digital clean up. Spring is here! The sun is shining, winter clothes are pushed to the back of the closet, and people are heading to the beaches and parks to embrace spring weather. Well, at least here in California. For many of us, we view spring as a time to purge and clean – out with the old and in with the new – a new opportunity to throw out old clothes or to make the garden look a little tidier. So why not clean up your digital life as well? Your phone may not be the first thing you think of when you think of Spring Cleaning but if your phone is like mine, then your entire life is on it! Looking at my photos alone, I have 944 pictures. Many of them are duplicates, as I always take more than one to make sure I get a good one and then I forget to delete them later. If I go through them one-by-one it will be time consuming, not to mention that I’ll probably get distracted by messages and other notifications. That why I recommend you install AVG Cleaner™ for Android™ from the Google play store. It has a great photo cleaning app that identifies “bad” photos and allows you to review them the way you could review photos in some dating apps, swipe right to keep or left to reject. It also shows duplicate photos and makes automatic recommendations. – Photos can contain specific location information stored in metadata within the image itself. – The location data usually includes the precise GPS coordinates of where the photo was taken, as well as the time and date it was captured. Disable location services for the camera on your smartphone. Be aware of location options in apps or online services and social media. In addition to cleaning out photos, AVG Cleaner™ for Android™ also identifies apps and games that you don’t use, which allows you to delete them to save valuable space. It also contains tools that give you data on which apps use the most storage, battery and data – all so you can make the decision whether to keep them. In my phone, I deleted 13 apps; including a parking payment apps in cities where I visited one time and apps I downloaded once just to see what they do. And of course, I can’t write a blog about cleaning up your phone without mentioning updating your antivirus. If you have AVG AntiVirus for Android™, open it up to run a scan for viruses. If you don’t have the app, you can always download it here. Not only does cleaning your phone make the phone perform better but it’s like new again! Mine is ready for the next round of stuff that I am going to load on it. All I need is a new screen protector! Am so sorry that i didn’t inform you about my trip. I’m writing this with tears in my eyes. I came down here to Odessa Ukraine for a short vacation unfortunately i was mugged at the park of the hotel where i stayed. all cash, credit card and cell were stolen off me but luckily for me i still have my passports with me. I ‘ve been to the embassy and the Police here but they’re not helping issues at all and my flight leaves in less than hours from now but having problems settling the hotel bills. the hotel manager won’t let us leave until i settle the bills, I’m freaked out at the moment. I could hear my friend’s voice in the body of the email. She is also a world traveler with a deep interest in Central and Eastern Europe, and is definitely one to pop over to Odessa for a long weekend to see the famed Potemkin Steps or visit the city as part of a larger trek around The Black Sea. The poor punctuation and strange spacing confused me. Then again, she was panicked and under intense time pressure. In other words, I was hooked. So I replied. Using various communications channels to finagle money or information from someone has a long and varied history. Many of the scams rely on the promise of easy returns. The Nigerian Prince is a case in point. The scam is similar to the 19th Century Spanish Prisoner scenario, but has usually relied mainly on mail, faxes, and email as part of a multistage setup that targets people with enough money to supposedly help smuggle millions of dollars out of an African country, often Nigeria (hence the name). Those that take the bait and pay the (fake) transfer fees are promised exponential returns on their investments that never emerge. There are scores of variations on the scam. For instance, a long-lost relative leaves a person a pile of money; to get the inheritance, the person needs to pay all the legal fees. But in general, most of these scams rely on greed to hook interest. By contrast, “stranded friend” phishing attacks take advantage of a reader’s good will. We all want to help people we know and like. I certainly do. In my case, the conmen had used malware (probably a Trojan) to hack my friend’s email account and access her contacts. The message I received was addressed to around two dozen people. It’s unclear whether the hackers created their shortlist of targets using the communications history between my friend and her contacts or their geographic locations, but it seems likely given that other scams employ similar tactics. For example, hacked mailing lists from charitable organizations allow bad guys to set up fake charities and target the people most likely to donate based on past activity. And email is cheap and easy. By stealing or buying stolen databases, scammers can obtain access to hundreds of thousands of addresses. With a bit of segmentation, they put the odds in their favor that someone will bite on their hooks. In my case, my fake friend replied that I should wire several thousand dollars to a Western Union in Odessa. Before agreeing, I asked her to name a mutual acquaintance who had once joined us for dinner. Of course she could not. So I then called my friend’s fixed line (in another country) and left a voicemail alerting her that her email account may have been compromised. Know what phishing is. Awareness is a huge step towards prevention. Knowing that the scammers are out there and masquerading as trusted contacts goes a long way to spotting them. Know what they’re after. Any email requests (or social media for that matter) asking for money should be immediately suspect. So too requests asking for personal data or account names and passwords. Watch for the signs. In addition to requests for money or hints that money may be needed, watch for poor spelling, bad grammar, and other oddities of speech. Check the email address itself – it may look like the supposed sender’s, but check for missing characters or additional characters added in. Pretty much all banks and most government and commercial organizations never ask for personal information, login information, or money via email; so if this information is part of the request, be very suspicious. Never click, copy, paste, or forward. For any email even remotely suspicious, do not click on anything, do not copy text and paste it into another email or document, and do not forward. To document the email (for alerting your friend or a company), the best approach is to take a screen shot. Don’t reply. Yes, I did, even though I saw the signs. But your reply tells the conmen that you pay attention to and open such emails. The bad guys will note this, and quite possibly save your email for another, more tempting scam later on. The steps above may not be foolproof. But they can help ensure the adoption of a security mindset.